A wide variety of options are offered to anglers visiting Green Turtle Cay. The offshore fishing of Abaco attracts many of the top billfish anglers from North America as big game fishing for billfish can be found just a few miles off shore. 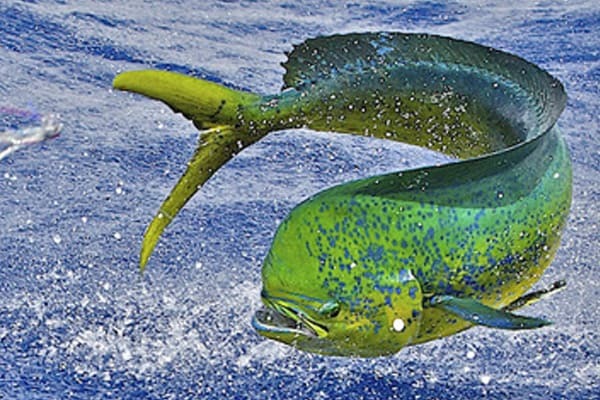 Dolphin, wahoo, tuna, and swordfish are abundant in the deep waters just beyond the reefs. The deep waters of the Atlantic near Abaco are home to prized big game fish.The flats of Green Turtle Cay are home to the elusive bonefish. Abaco has become renowned for large bonefish with fish of 9 to 12 pounds a common occurrence. Local fishing guides are available to personalize all your fishing needs. There’s no end to the number of great fishing guides throughout the Abacos. 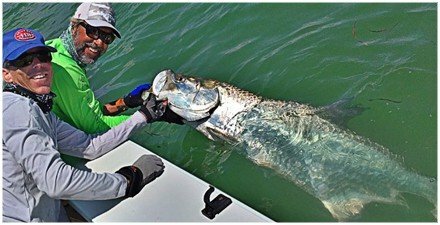 Most specialize in backcountry bonefishing, pursuing the legendary Abaco “Grey Ghosts”. Some also operate larger vessels to put you in the middle of the offshore big game action. Rest assured, Green Turtle has some of best captains and guides in the area! Quit wishin’…it’s time to go fishin’! Let the Guy Harvey Outpost team know what your perfect fishing expedition includes, and we’ll go to work organizing the guides and schedule. Send us an email, and we’ll get started! Ronnie is a bonefish guide on Green Turtle Cay Abaco Bahamas. Ronnie has been featured in numerous fishing magazines and was the subject of a half hour show on ESNP 2’s television series George Poveromo’s World of Saltwater Fishing. Ronnie keeps flats skiffs on both Green Turtle and on Great Abaco, for those looking to fish the Marls of Great Abaco. Captain Rick Sawyer, is Ronnie’s cousin. He is a licensed and IGFA certified captain and guide with over 25 years experience. 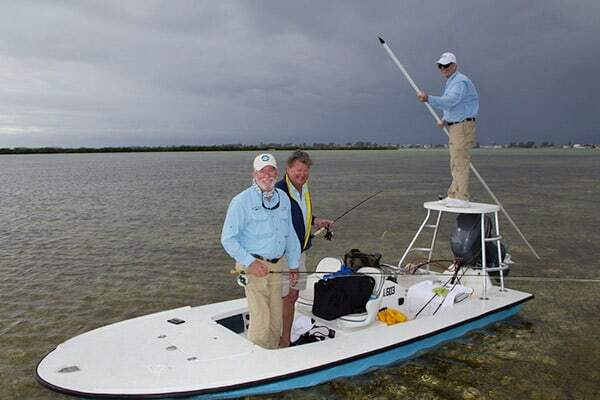 In addition to his bonefish flats boat, Rick operates a 31′ Pursuit. Captain Dale, the 8th generation of Sawyers on Green Turtle, runs a state of the art Hells Bay flats boat, but most often is away from the dock running his 31′ Bertram chasing big game fish offshore. At Guy Harvey Outpost, we take fishing regulations seriously. We’re committed to conservation and hope you, our guest, is as well. It’s important to know and respect the fishing regulations of the Bahamas and Bimini. Sadly, for some anglers catch limits are disregarded, catch and size-limits for conch are ignored, the ‘closed season’ for lobster is considered irrelevant and spearfishing restrictions are for others. These practices quickly result in an unsustainable fishery. So we ask all our anglers to be good sportsmen and conservationists, and respect the regulations. As with fishing regulations back home, they change frequently, and seldom get less restrictive. Penalties can be extremely severe, so we encourage you to familiarize yourself with the current regulations posted below. 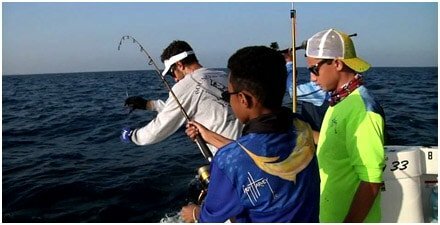 The current fishing regulations for the Bahamas are established by the Department of Marine Resources, Ministry of Agriculture & Marine Resources and enforced by local authorities and penalties can be severe. Getting a big fine, or having your boat confiscated, will surely ruin your day. Be a part of the solution, not the problem! Email any questions you have to : fisheries@bahamas.gov.bs or contact the Outfitter for clarifications. Let’s all respect the regulations. Remember, we ask our Green Turtle sportsmen to be a part of the solution, not the problem. Thanks! In the Bahamas, you are not allowed to use scuba gear or an air compressor to harvest fish, conch, crawfish or other marine animals. A Hawaiian sling is the only approved spearfishing device in the Bahamas. Spearfishing is not allowed within one mile of the coast of New Providence, within one mile of the south coast of Freeport, Grand Bahama and within 200 yards of the coast of all the Out-Islands, including Green Turtle. Spearing or taking marine animals by any means is prohibited within national sea parks. On a final note: there are numerous Lionfish Derbies hosted throughout the Bahamas to help eradicate these invasive predators. Spearfishing restrictions do apply to the taking of Lionfish other than when participating in events sanctioned by the Government where a waiver of the speafishing regulations is granted for research purposes. No more than 60 pounds or 20 scale fish. Illegal to harvest by any means or have onboard at any time.